Builder Supply Source, LLC was founded with the idea of serving Middle Tennessee builders and home owners with a cost effective alternate to the "Big Box" stores. Our focus is on service and the satisfaction of our customers through quality products at an extremely economical cost. Through years of experience in the construction field, our owner and his staff have learned to anticipate issues to make the selection process much more consumer friendly. A three time national award winning, kitchen and bath designer, Melissa is an Allied ASID member and a Certified Kitchen Designer. For 23 years, she has designed kitchen and baths of all sizes and budgets throughout the United States. 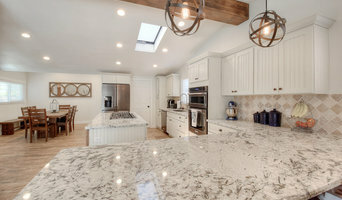 Melissa has won national awards from NKBA (National Kitchen and Bath Association) including, 2011's Best of the Best for the remodel of a master bathroom. Melissa's work has been featured in numerous national publications and she has written articles for Kasmar publishers. 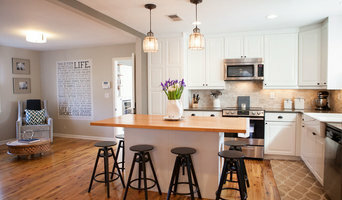 Melissa's kitchens have been featured on HGTV. Melissa has designed the kitchen remodel for the Tennessee Governor's Mansion, NFL players and other prestigious projects and clients. Melissa is extremely knowledgeable in assisting her clients make wise and beautiful selections for her clients and working with budgets. She is owner of Melissa Morgan Designs in Nashville, TN. She sells Cabico Custom Cabinetry and other fine products to make your kitchen and bath beautiful. McKeithan Design Studio is a design and build firm that is a dedicated to the art of hand crafted interior and exterior structures using wood, steel and concrete. We create timeless and unique furniture in a variety of forms; from old world to contemporary with exquisite care to detail in each piece we produce. Our skilled craftsmen take pride in providing quality workmanship to fulfill our client's dreams and exceed their expectations. 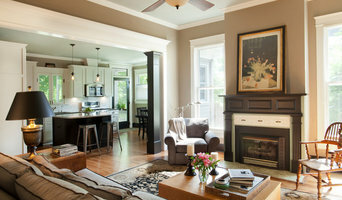 BEST OF HOUZZ 2019....Making things beautiful has always been a passion for Natalie. Five years ago she decided to pursue her dream of design gleaned from 13 years of experience in other fields of fashion. Once a buyer, wardrobe stylist, hair & makeup artist, and visual merchandiser... her talent of transforming people and places led her into her ultimate goal...homes. Adorning Nashville are 100+ homes she has designed for many builders, investors, and personal clientelle. Her specialty is the home itself. She can assist in the selections of: Lighting Plumbing Tiles Cabinets Countertops Appliances Flooring Windows and Doors Hardware Paints and Stains Gutters and Roofing Fireplaces Decorative Features such as beams,shilap, wainscoting and more! Her primary projects are residential new construction and remodels. Her builder packages are comprehensive, thorough, and easy to follow. Half of her service is design, the other half is making the execution of the design a simple and expedited process. A builder and remodelers best friend! "I delight in driving around the city seeing the homes Ive helped create. I love thinking about the families living in them. I feel so blessed to be part of shaping the city I grew up in and love so much." We are a family owned and operated construction company in the Nashville area. We have been in business since 1979 and we strive for excellence! We have a full-time staff that takes your project from design through completion. Stop by and visit our showroom in Berry Hill. Member of Professional Associations – We are members and officers of the Middle & West Tennessee Chapter of the National Kitchen and Bath Association (NKBA) as well as members of the National and Middle Tennessee Home Builders Association, Green Building Council, Nashville Better Business Bureau and Remodelers Council. "Making your home your favorite destination is our goal". I've poured my heart and soul into construction for 33 years now and I've had the honor of being owner of Frank's Home Maintenance for a little over 18 years. I can honestly say I love the level of service that this company has achieved. We treat your home with the utmost respect, leaving our shoes at your door. There are no projects too big or too small, you name it and we can complete it. We are everyday people doing what we do best and that is to make your home your favorite destination. A place where you can walk across your beautiful new hard wood or tiled floors to cook dinner in your newly renovated kitchen or to stroll upstairs to take a shower in your lavish new bathroom. We believe in giving you everything you need or want in order to make you feel not only at home, but at ease. T W Tisdale Construction, Inc.